The wax will work as a barrier to total coverage and should remain soft enough to scrape off even with dried paint on top. We like using wax because it’s easy to control and gives us that nice chippy edge look without all the chips of paint. Picture an adirondack-style chair on the lawn of a great house at the shore. Wind, rain, loads of sun, and harsh winter weather gives that chair a gorgeous weathered finish. So how can you mimic it? 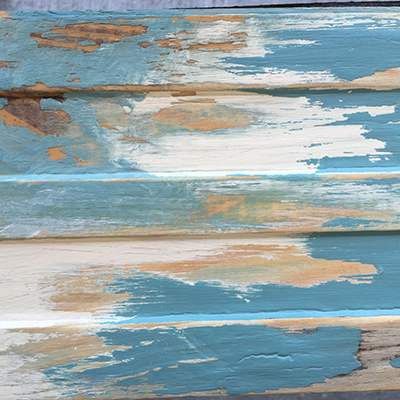 Summer is coming so let’s get on with creating a fabulous beachy finish using an Annie Sloan Chalk Paint® Wax Resist technique. Read this entire tutorial before starting. Tips follow at the end. 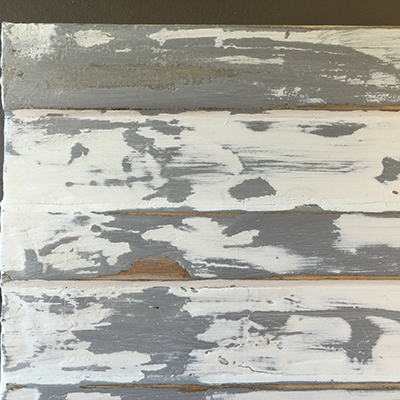 A clean wooden project piece or sample board. Patience to wait between coats. To create the wax resist, dab and smear Annie Sloan’s Clear Soft Wax on areas you want to remain natural wood, lightly in some areas, very liberally in others. Apply a layer coat of Pure White laying the paint, not brushing, over the wax. 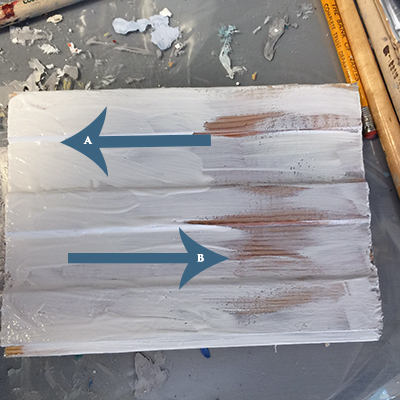 Area “A” in the image below has a heavy layer of clear wax under the paint, Area “B” has a light covering. 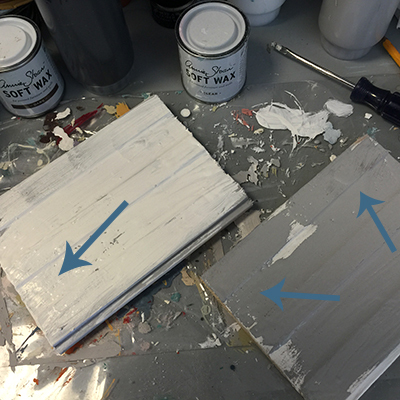 After the Pure White dries, sand, chip, and scrape the Pure White paint to reveal the natural wood areas. Liberally dab more Clear Soft Wax over the white paint you want to expose and remember to cover the areas you want to retain natural wood tone too. After your second color dries, sand, chip, and scrape some more. Apply a sealing coat of Clear Soft Wax. a) Don’t be shy with the clear wax. You should have some peaks or blobs. b) Put your coat of paint right away. Don’t let the wax dry. 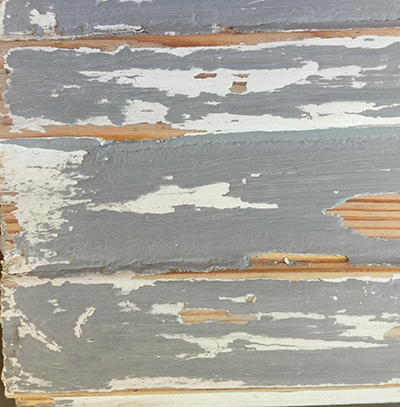 c) Keep a healthy amount of paint on your brush for coverage. Don’t “work” an area with wax under it. e) If doing a large piece, work in sections. g) Remember to use small amounts of wax for your finishing coat and to remove extra wax with clean lint-free rags. That’s it. 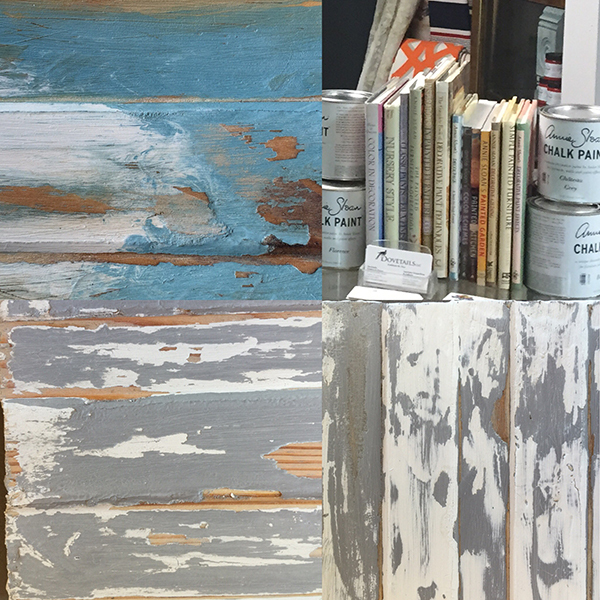 Now you know how to create an Annie Sloan Chalk Paint® Wax Resist finish with a lovely weathered look. Give it a try! I’m working on a pretty curio cabinet using this technique and will post images when it’s finished. I’d love to see your projects too. As always, if you have any questions, drop me a call, email, or comment here. 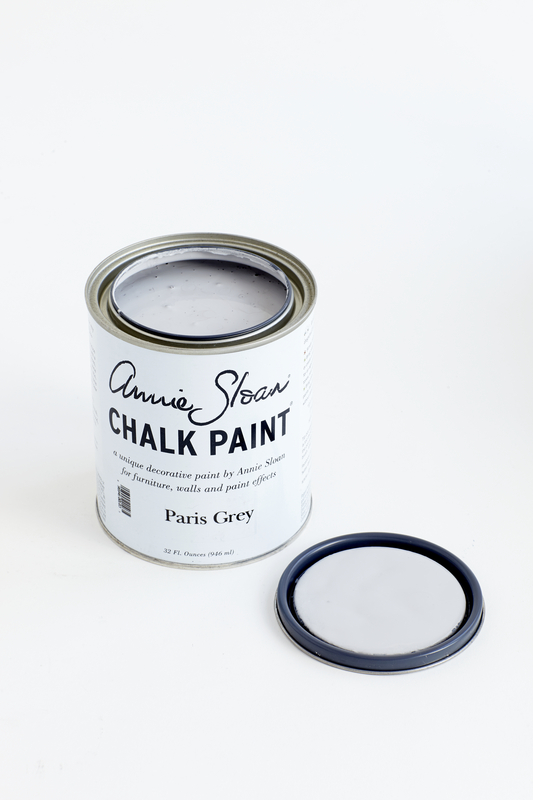 To find the Annie Sloan stockist nearest you, visit Annie Sloan’s website, and our America distributor, Unfolded.